Islander Textured Bamboo Plank brings you the real look of wide plank European oak in an eco-friendly solid strand bamboo flooring option. Perfect for any decor, textured bamboo plank is fully embossed for added realism and is available in the latest designer flooring colors. Islander sources only Moso bamboo, widely recognized as the highest quality raw material for bamboo flooring. 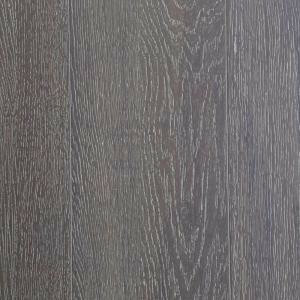 Solid strand Moso bamboo is twice as hard as domestic oak and is extremely durable and resistant to indentations. Coupled with a tough aluminum oxide finish, Islander textured bamboo plank flooring is rated for commercial and residential use. Maintenance is a snap using off the shelf cleaning products recommended for use with prefinished floors. Solid strand bamboo flooring is also among today’s most eco-conscience building products. Harvested every 5-7 years, Islander bamboo is recognized as a rapidly renewable resource by the United States Green Building Council (USGBC). The product also exceeds the European E1 Standard for formaldehyde emissions and carries the coveted FloorScore Indoor Air Quality Certification. 21.50 sq. ft. per case and case weight: 70 lb. Buy online Islander Chestnut Manor 9/16 in. Thick x 8.94 in. Wide x 86.61 in. Length XL Embossed Strand Bamboo Flooring (21.5 sq. ft. /case) 11-1-012, leave review and share Your friends.